"A fuzzy bachelor has engineered his wacky morning routine with robotic precision." "Officials say suicide bombers attacked Istanbul's airport killing at least 28 people and injuring at least 60. No group has yet claimed responsibility." "As cities fight pollution and congestion, the car-free movement gathers speed." next to the agency's in-house museum filled with artefacts from its history." "A very scary slide has opened to the public in Los Angeles. It is on the outside of a building, 70 stories high." "President Barack Obama wants U.S. lawmakers to act on immigration. He made the appeal after a divided Supreme Court let stand lower court rulings blocking his order blocking the expulsion of up to 5 million undocumented immigrants. But congressional action is unlikely." being contacted during the investigation. UN officials say it is unlikely any charges will be announced unless the North Korean government collapses." "After the death of the benign Augustine St. Clare, his plantation is broken up and the slaves sold at auction. Emmeline and Uncle Tom are bought by the cruel Simon Legree." "The world population looks set to reach 9.7 billion by 2050, but what’s behind the big numbers? We look at the complex demographic shifts in play." "The Labassin Waterfall Restaurant, a place in the Philippines where you can eat dinner in the middle of an actual, literal, real-life waterfall." "As Porton Down marks its 100th anniversary, what really goes on inside Britain's most secretive and controversial military research base? Porton Down - also known as the Defence Science and Technology Laboratory - is where much of our top-secret military research is concentrated. It has a budget of £500m a year and employs more than 3,000 scientists. It is the most controversial, most misunderstood and, some say, most-feared scientific institution in Britain." "There was a nasty surprise awaiting passengers in the arrivals hall at Rio De Janeiro's Galeao International Airport on Monday." "A lonely chameleon struggles to stay visible while seeking the attention of his crush." "Fraudsters are using a new method to trick people into parting with their money." "Syrian refugees in Canada are using painting, drawing and photography to learn to adjust to their new setting. Sick Muse Art Projects hosts free weekly art workshops for children at Romero House in Toronto." UT considers race and other factors when deciding some admission applications"
"In many countries, officials are promising to take measures to limit the financial damage resulting from Britain’s decision to leave the EU. However, many questions remain. The vote could affect British political parties and Scotland’s membership in the United Kingdom." "The United Kingdom has voted to leave the European Union in what is being seen as a political earthquake." "Britain’s decision to leave the European Union prompted Prime Minister David Cameron to resign and markets to fall around the world. Final results gave “Leave” 52 percent, “Remain” 48 percent. The close vote showed how deeply divided the British people are on immigration and sovereignty." "For nearly 26 hours, congressional Democrats held a sit-in protest on the floor of the U.S. House of Representatives. They demanded the House vote on gun control bills. When Republicans turned the television cameras off, the Democrats used social media to get their message out." "New report says US supplied almost $23 billion in weapons to other countries last year. 2015 was a record-breaking year for arms manufacturers. An expert says “the global defense trade market has never seen an increase as large as the one we saw between 2014 and 2015." "U.S. Congressional Democrats have been demanding that the House of Representatives votes on gun-control legislation. Many of the lawmakers took part in a 25-hour "sit-in." They used Periscope and Facebook live to broadcast the protest after the TV cameras were turned off." "Rep. John Lewis (D-GA) leads his colleagues in taking action on gun violence on the House Floor." "We all know that exercise keeps us healthy. But two new studies get more specific. They look at how exercise may lower the risk of two major causes of death – cancer and stroke. This report has many useful vocabulary words related to the human body." "Almost 3 million people have problems seeing. Most of those problems can be prevented or cured – but only if doctors can get to the patients. Now, an improved “flying eye hospital” allows a non-profit medical service to help millions of people." "North Korea appears to have successfully launched a mid-range missile after a string of recent failures. One of two missiles launched Wednesday was able to fly about 400 kilometers before crashing into the sea. Most previous missile tests resulted in North Korean rockets failing soon after launch." "There are two types of travelers in the world, which one are you?" "Life is often very busy. Sometimes you may not have enough time to do everything you want. Read about one man who forgets everything but work in this classic American story, 'The Romance of a Busy Broker,' by O. Henry." "On Friday, the UK woke up to a national referendum result with a clear decision to leave the EU. despite large areas such as London and Scotland voting overwhelmingly to remain." "A selection of front pages from the UK and around the world on the day that Britain voted in favour of leaving the EU." "Last year was the worst year on record for the number of people who became refugees." in the large Arbat refugee camp in the Kurdistan area of northern Iraq." "In the wake of high-profile shootings, proposals such as banning assault weapons gain momentum. But there are solutions few national politicians are looking at that take a very different tack." "The Uffizi Gallery in Florence, Italy holds 1,250 ancient pieces of ancient Greek and Roman sculpture. The museum is working with Indiana University in the United States to create complete and permanent digital copies of the artworks." "Orlando gunman Omar Mateen referred to himself as an Islamic soldier and praised God in Arabic during his attack on an Orlando nightclub, according to 911 call transcripts. The gunman also claimed to have explosives and called for an end to U.S. bombings in Iraq and Syria. No audio was made public." "From sentinels on Easter Island to hands arising from the desert, Elaine Ling has photographed the mystical forms carved from stones through the ages." "Hundreds of revellers gathered at Stonehenge in Wiltshire and Castlerigg stone circle in Cumbria to watch the sunrise and welcome the year’s longest day." "Thousands of people gather at Stonehenge to mark this year's summer solstice. Police said around 23,000 were at the neolithic site in Wiltshire, with others visiting the nearby Avebury stone circle to witness the sun rising on the longest day of the year. Stonehenge is believed to have been used as an important religious site by early Britons 4,000 years ago." "New studies show that alarming numbers of tiny fibers from synthetic fabrics are making their way from your washing machine into aquatic animals." – never more so than when he tried to pursue his dream of owning a dog. He shares his refugee story." "At the end of 2015, the world had more than 65.3 million displaced people. That’s the largest number since World War II, according to the United Nations. The problem worsened in 2015 largely because of continuing conflicts in Syria and Somalia, and opposition to resettlement efforts in some nations." "This is the only tricycle that accommodates seven adults and facilitates close-knit conferencing during joyrides. The seven seats each have a set of pedals that riders can operate simultaneously to propel the tricycle up to 10 mph, encouraging social interaction and team-building while pedaling. One of the seven riders steers the tricycle and controls the dual independent hydraulic brake systems (one hand lever and a foot pedal)." "Cities around the world – from Mogadishu to London – are under the spotlight for corruption, with heightened focus following the Panama Papers leak. But what does urban corruption look like – and how is it measured?" "The festival sees people gather to have dog meat hotpot, fruit lychees and liquor. About 10,000 dogs and cats are expected to be killed and eaten during the controversial 10-day festival in Yulin." The killings of 49 people in Orlando prompted the Senate's gun debate." 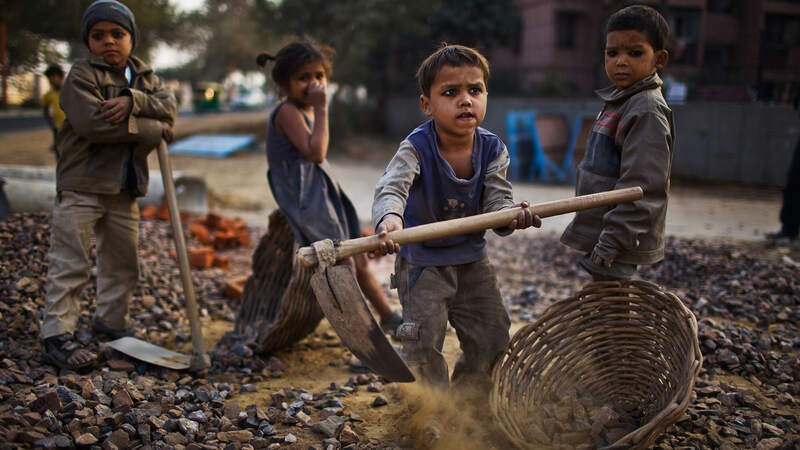 "International Labor Organization calls child labor “modern slavery.” ILO officials say 168 million children are victims worldwide. Experts urge companies to make sure their supply chains are free of child labor." "People do many strange things when looking for love. Sometimes people do not always tell the truth. 'The Count and the Wedding Guest' by O. Henry." and eleven children. At StoryCorps, his son Samuel talks with his wife, Edda Fields-Black, about his father's lasting legacy and the power of a look." "Elvis & Nixon sees Kevin Spacey join the list of Hollywood greats who are drawn to play the notorious ‘Tricky Dicky’." "UNHCR Global Trends report finds 65.3 million people, or one person in 113, were displaced from their homes by conflict and persecution in 2015." "It estimates that 65.3m people were either refugees, asylum seekers or internally displaced at the end of 2015, an increase of 5m in a year. This represents one in every 113 people on the planet, the UN agency says. Meanwhile, the UN refugee chief says a worrying "climate of xenophobia" has taken hold in Europe as it struggles to cope with the migrant crisis." in the year 3700 B.C. to the boom of the last century."